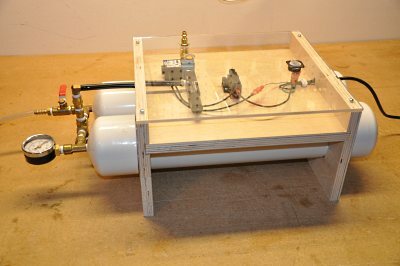 I found a guy online named, Joe Woodworker, who has worked out these great kits to build your own vacuum system using a venturi and your own air compressor. I bought one of his kits, followed his online plans, made a few modifications, and this is the result! My air compressor only runs long enough to charge the vacuum system, and as long as my bag does not leak - stays off. If there are leaks, the system will maintain vacuum as needed. 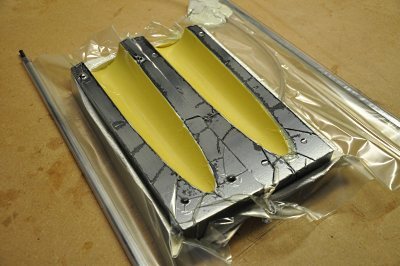 Just a shot of the vacuum press in action. I have my nose cone molds under suction with a layup of fiberglass and Kevlar over some white paint. This layup is using West 206 hardener, and is being held under suction for about 12 hours. 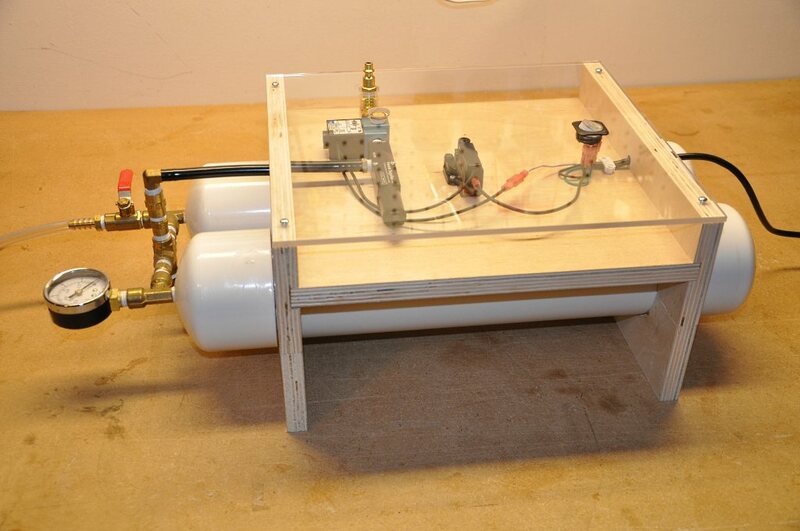 It is nice not having a vacuum pump running that whole time. Instead the shop is quiet. Very nice! One of my next projects is a hot-box to speed up these cures!